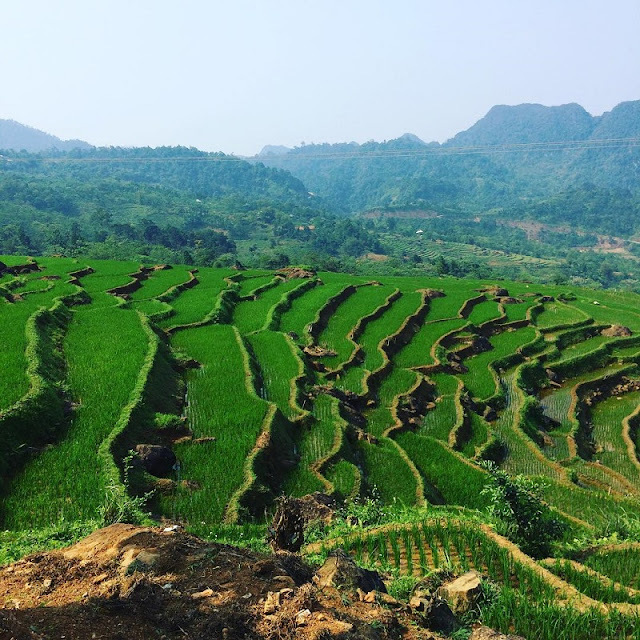 If you want to escaped the bustle of city life and visit a place where armed with undulating terraces fading out to the horizon, majestic mountainous backdrop, fantastic waterfalls and great taste of remote life and cuisine, Pu Luong Nature Reserve is a perfect choice. Pu Luong Nature Reserve is a recommented best package Northern tour which is definitely off-the-beaten-path. Pu Luong Nature Reserve - Pu Luong proposed nature reserve is located in Quan Hoa and Ba Thuoc districts, in north-western Thanh Hoa province. 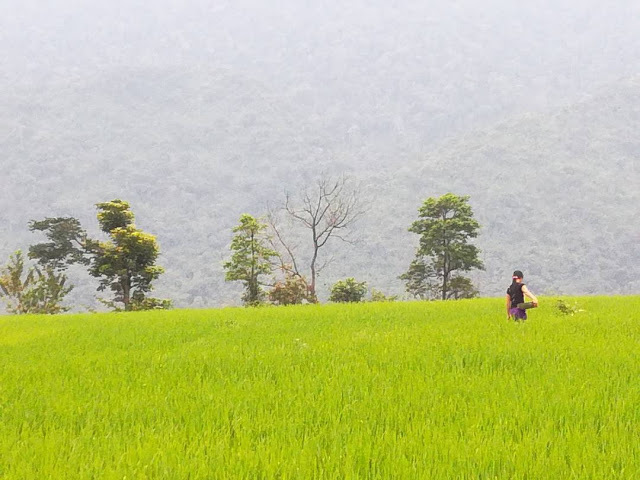 To the north-east, the nature reserve is bordered by Mai Chau, Tan Lac and Lac Son districts, Hoa Binh province. Newly found out recently, Pu Luong Nature Reserve has been progressively overtaken many other famous destinations in Vietnam like Sapa, Mai Chau, Ha Giang, Cao Bang, etc.. to become the King of Northern Vietnam with the beauty combination of all those places. And certainly, there is a good reason for that. No one can explain why a place like Pu Luong has not been explored earlier. Located along 2 parallel mountain ranges running from north-west to south-east, the reserve is divided by a central valley where there are some settlements of inhabitants and not much influence of tourism industry could be seen. Come to enjoy breathtaking scenery, marvelous waterfalls, the water- wheel, special food such as Co Lung duck, sticky rice, etc.. There are also crooked trails and the road is much adventurous as the road in Northern. Take a break from hiking through terraces and immerse into nature when visiting waterfalls. The high roadside location is breezy and is a great spot for tourists to take photograph. 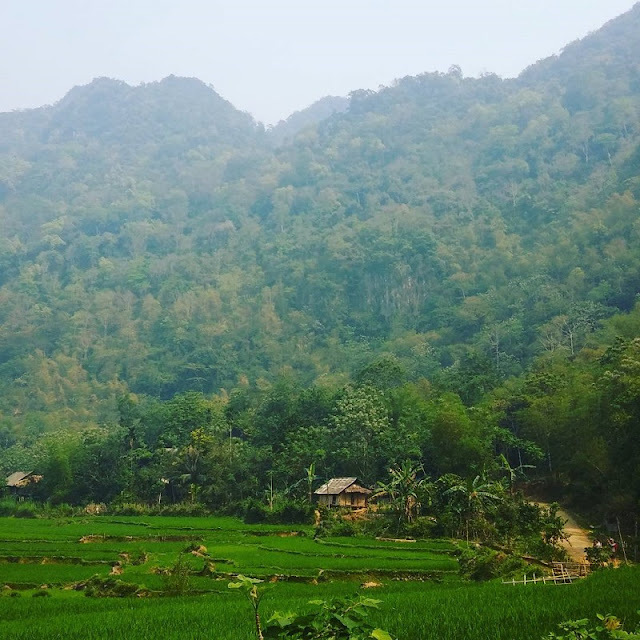 For the best backpacking experience in Pu Luong, drive through valley to Co Luong village which is well known as bamboo chopsticks home-factories. Continue and stop by Thai village of Ban Lac where you can taste original wines, explore indigenous culture and beautiful paddy rice. Make your stay at Mai Chau Ecolodge which is teeming with unique-style bungalow and sensory comfort. Spend more time to go to neighbor areas such as Ban Kit, Ban Cao Hong, Kho Muong, Cuc Phuong National park. The best time to visit Pu Luong is period between May and June or September and October. In the end of May, Pu Luong is about to begin the crop, you are able to see greenery of terraces. If you want to witness ripen rice paddies on the slope across the valley, you should come here by September when famers prepare to harvest. You can send us an email to: info@vietnamtypicaltours.com for more but free details on this wild destination. If not, we wish you an excellent trip in Pu Luong!